If you need something to boost your ‘tough Russians’ stereotype, an icebreaker festival has just kicked off in St. Petersburg. The mammoth Arctic-ice-cracking vessels are hosting the public, while smaller tugboats are set to waltz across the water. This year, six vessels are taking part in the fourth annual Icebreaker Festival. Among them are the Mudyug, the Ivan Kruzenshtern, and the Saint-Petersburg, as well as the legendary Murmansk. The ice-class tugboat Nevskaya Zastava and the Krassin icebreaker-museum, which has recently celebrated its 100th anniversary, have also joined the show. 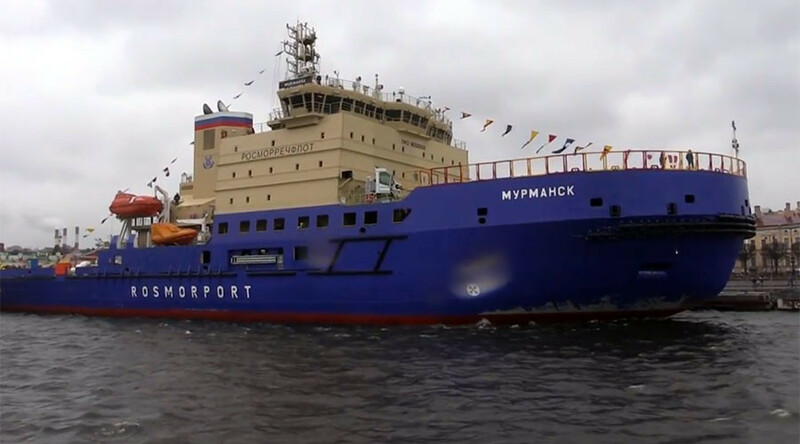 “The festival is dedicated to the achievements and power of our country’s icebreaking industry, and the idea that St. Petersburg is the sea capital of Russia,” the city said in a statement. The festival gives visitors the chance to explore Russia’s Arctic fleet and climb the massive vessels on the Neva River for two days – April 29 and 30. One of the festival’s traditional shows is the tugboat waltz, which will see the vessels spinning across the water to classical music and fountains of spray. Organizers promise this year’s dance to be more complicated and elegant than last time. Festival-goers have braved never-ending St. Petersburg rain to examine the interiors of the icebreakers – something you don’t get to do every day. “Power and beauty even in such weather,” one excited person posted on Instagram. “Storm… Gusty winds. Soaked through and frozen, the photographer won’t give in,” said another, apparently referring to herself. “This is powerful!” exclaimed one more spectator.